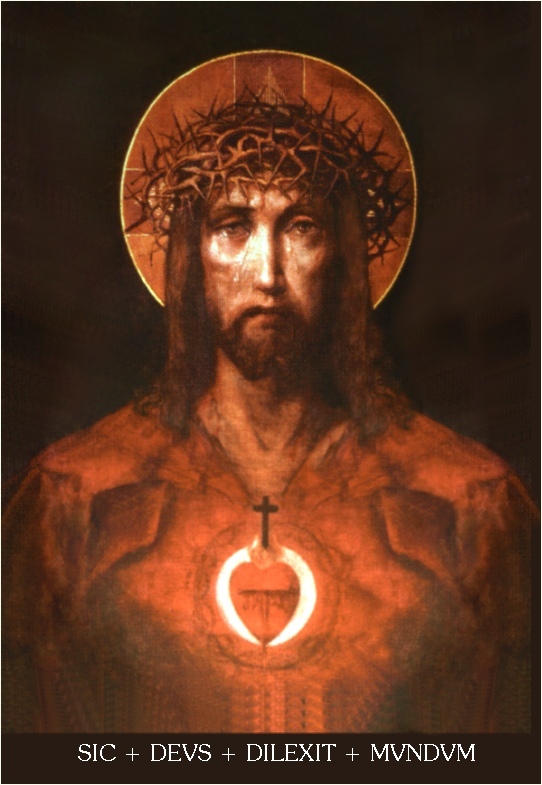 In 1928, Pope Pius XI issued the encyclical, MISERENTISSIMUS REDEMPTOR (On Reparation to the Sacred Heart). His Holiness included the following prayer in his encyclical, Perhaps this is something we could add to our devotions, even if only weekly. And perhaps the words of the Prophet Osee (Hosea) in Sacred Scripture will comfort us that, no matter what, Our Lord is fully in control and aware of what is happening, and His judgments will be rendered in justice and beauty. Osee, Ch 4 (Douay Rheims) Hear the word of the Lord, ye children of Israel, for the Lord shall enter into judgment with the inhabitants of the land: for there is no truth, and there is no mercy, and there is no knowledge of God in the land. Cursing, and lying, and killing, and theft, and adultery have overflowed, and blood hath touched blood. Therefore shall the land mourn, and every one that dwelleth in it shall languish with the beasts of the field, and with the fowls of the air: yea, the fishes of the sea also shall be gathered together. But yet let not any man judge: and let not a man be rebuked: for thy people are as they that contradict the priest. And thou shalt fall today, and the prophet also shall fall with thee: in the night I have made thy mother to be silent. My people have been silent, because they had no knowledge: because thou hast rejected knowledge, I will reject thee, that thou shalt not do the office of priesthood to me: and thou hast forgotten the law of thy God, I also will forget thy children. According to the multitude of them so have they sinned against me: I will change their glory into shame. They shall eat the sins of my people, and shall lift up their souls to their iniquity. And there shall be like people like priest: and I will visit their ways upon them, and I will repay them their devices. And they shall eat and shall not be filled: they have committed fornication, and have not ceased: because they have forsaken the Lord in not observing his law. Fornication, and wine, and drunkenness take away the understanding. My people have consulted their stocks, and their staff hath declared unto them: for the spirit of fornication hath deceived them, and they have committed fornication against their God. They offered sacrifice upon the tops of the mountains, and burnt incense upon the hills: under the oak, and the poplar, and the turpentine tree, because the shadow thereof was good: therefore shall your daughters commit fornication, and your spouses shall be adulteresses. I will not visit upon your daughters when they shall commit fornication, and upon your spouses when they shall commit adultery: because themselves conversed with harlots, and offered sacrifice with the effeminate, and the people that doth not understand shall be beaten. If thou play the harlot, O Israel, at least let not Juda offend: and go ye not into Galgal, and come not up into Bethaven, and do not swear: The Lord liveth. For Israel hath gone astray like a wanton heifer: now will the Lord feed them, as a lamb in a spacious place. Ephraim is a partaker with idols, let him alone. Their banquet is separated, they have gone astray by fornication: they that should have protected them have loved to bring shame upon them. The wind hath bound them up in its wings, and they shall be confounded because of their sacrifices. Ver. 1. Israel. They are chiefly addressed, (Chaldean; St. Jerome; Calmet) or what follows to ver. 15, regards all. (Worthington) --- Judgment. Hebrew, "a trial." --- Mercy. The want of humanity and of practical knowledge is urged. (Calmet) --- The knowledge of God includes the observance of the commandments, 1 John ii. 4. (Worthington) --- This science alone is requisite, Jeremias ix. 3., and Isaias v. 13. Blind leaders prove their own and other's ruin. Ver. 5. Prophet, both true and false. --- Night of tribulation. Hebrew and Septuagint, "I have compared thy mother to the night." Ver. 8. Sins: victims. (Worthington) --- Iniquity; or "they seek for support in their propitiatory offerings," and lull the people asleep in their sins. The priests of the golden calf imitated the sacred rites of Moses. It would have been too difficult to make the people change altogether. Ver. 10. Ceased. Hebrew, "increased." They have no children living. (Calmet) --- Septuagint, "let them not succeed." Ver. 12. Staff. It was customary to use this mode of divination, (Ezechiel xxi. 21.) and likewise incense, ver. 13. --- Oak. These terms are variously rendered as the trees and stones mentioned in Scripture, will probably never be ascertained. Ver. 16. Wanton. Septuagint, "stung," or rendered furious. Thus Israel gives way to ungovernable passions. The people shall be led into captivity, and have room to range about. 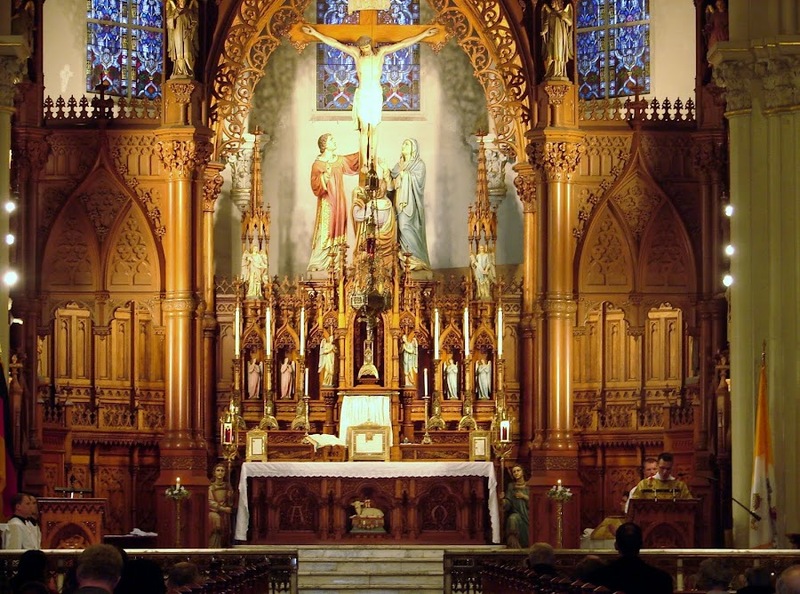 Sacred Heart of Jesus Parish in South Euclid will celebrate their patronal feast with Solemn High Mass on Sunday June 14 at 5pm. Immaculate Conception is going to celebrate the external observation of the Feast of Corpus Christi on Sunday June 7. The Mass will be Solemn High at 12 noon. Weather permitting, the procession will be outdoors. Benediction will take place afterwards. The pastor, Fr Frank Godic will give the sermon.